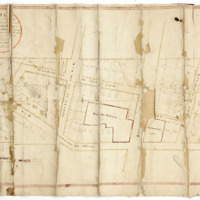 This 1772 manuscript representation of the Kayaderosseras Patent (issued by Queen Anne of Great Britain in 1708) show property inherited from an original patentee. 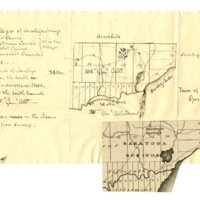 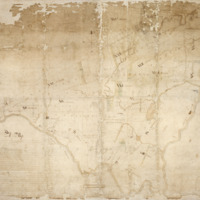 This sketch map was prepared by John Steel, surveyor, with the help of Henry Walton, at the request of Simeon De Witt, and corrects De Witt's state map. 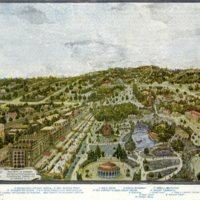 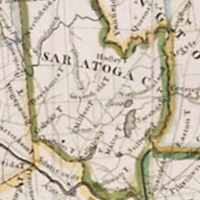 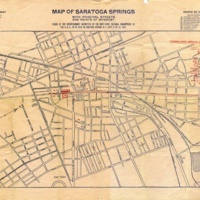 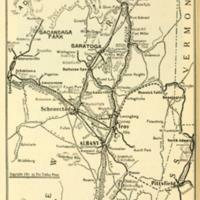 Shows Saratoga Springs, including corporation lines. 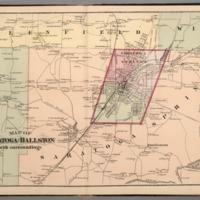 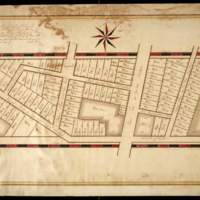 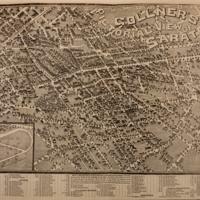 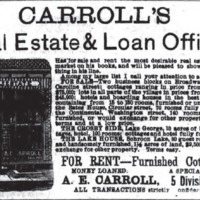 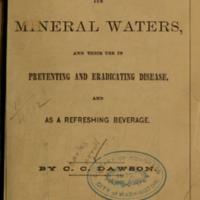 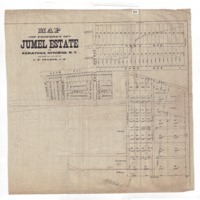 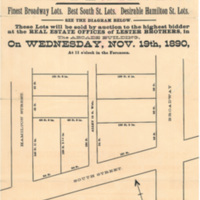 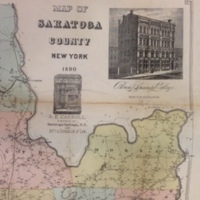 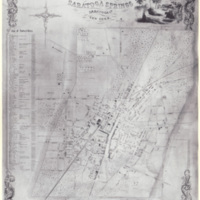 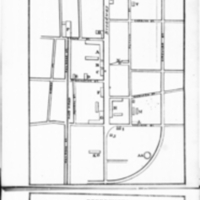 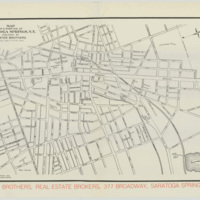 Map included many businesses, civic institutions, and personal properties. 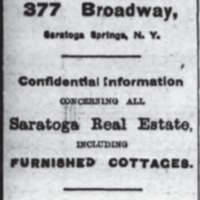 Subscribers are listed on the right side. 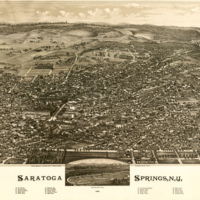 A guide to Saratoga Springs, New York, with emphasis on its mineral springs. 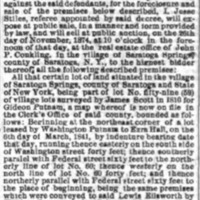 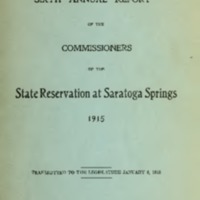 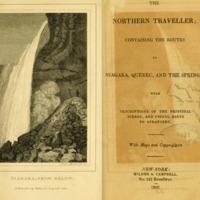 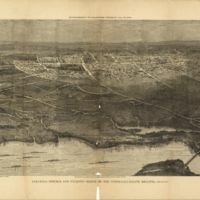 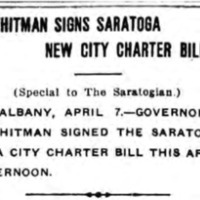 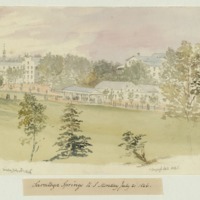 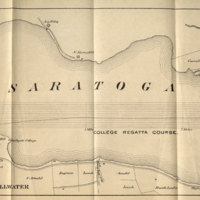 Saratoga Springs and vicinity : scene of the inter-collegiate regatta : [see page 626]. 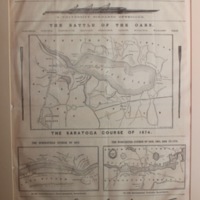 A map of the course of the 1874 college regatta at Saratoga Springs that introduced a 4-page supplement to the New York Herald on the day of the race. 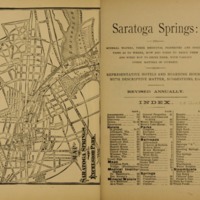 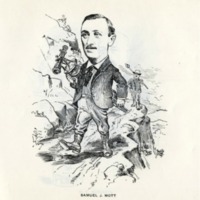 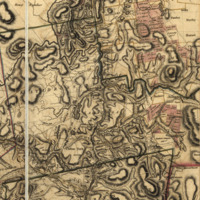 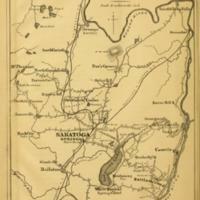 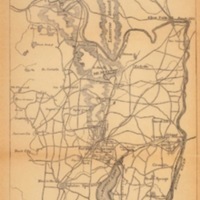 Additional maps included were the course of the Springfield (MA) and Worcester (MA) courses. 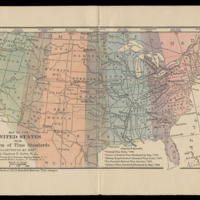 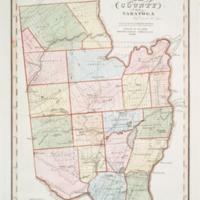 Map of the United States from "System of Time Standards"Illustrated by Map"
Map of Property of Jumel Estate of Saratoga Springs, N.Y. 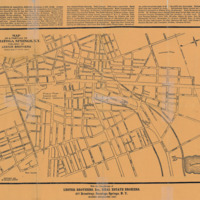 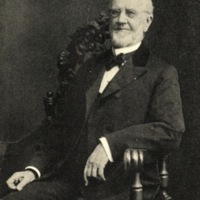 Surveyed and laid out by L. H. Cramer, C.E. 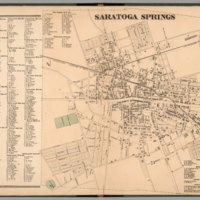 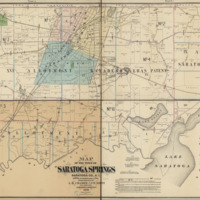 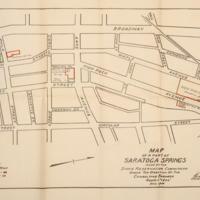 Map of a portion of Saratoga Springs, N.Y.
Map of Saratoga Springs with principal streets and points of interest issued by the entertainment committee of the Forty-First National Encampment of the G.A.R., to be held in Saratoga Springs, N.Y., Sept. 9 to 16, 1907.